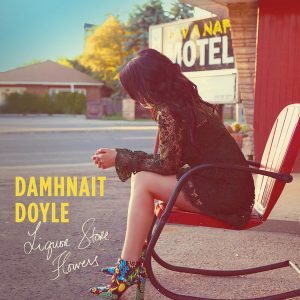 For Damhnait Doyle, a lifetime has passed in the 16 years since her latest solo album of original material; the formation and quiet dissolution of Shaye, the highs and lows of The Heartbroken, the bonds forged of family and unbreakable love of her children. Yes, much has happened since the Lab City native released her third album, Davnet, with the standout cut Another California Song dominating televisions and radio across Canada. To the surprise of many, and perhaps mostly to Doyle herself, finding a central truth – or if you will, a voice – was perhaps the biggest change of all in 16 years of highs and heartaches. “It’s some kind of controlled chaos. 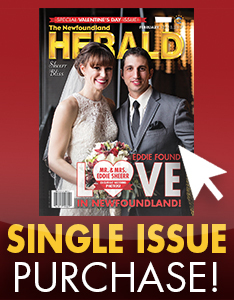 That’s the formula, knock on wood, some kind of controlled chaos right now,” Doyle tells The Herald ahead of the release of Liquor Store Flowers on April 12th. 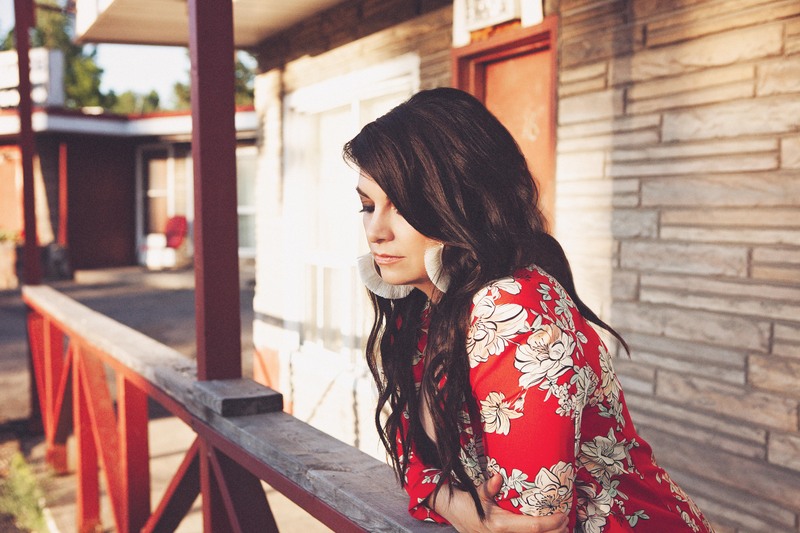 A love gone cold is the subject of her gutting yet emotionally poignant lead single, That’s What You Get. The smoky vocals and cutting yet relatable lyrics have resonated with listeners far beyond what this seasoned songstress could have fathomed. For Doyle, there was catharsis in the process of assembling the tracks of what would be Liquor Store Flowers. A purge of emotions built up over the years, for the most revealing and stripped-to-the-bone collection of cuts in a career full of honest anthems. “This was something I had to get out of my body,” Doyle shared. “These songs literally had to heal my body in order for me to move through some stage and get through to this other place where I was really just healed in a way. I don’t know if you’ve heard other songwriters say this, but writing songs is really like going to therapy. It’s an incredibly therapeutic process to write songs if you’re telling them authentically. “With this record I told the truth with every single line. I didn’t parse words, I didn’t try to make it pretty, I just wanted it to be painful really. I wanted it to be raw and truthful. It felt a bit like an exorcism to be honest. I had to do it, I really had no endgame about releasing it. Doyle will release the album here at home at The Ship on May 11th, the very venue she played her first gig before signing her first record deal at the age of 17. From her humanitarian efforts that have seen her travel to Kabul, Kenya and Kandahar, to serving as a VP of the Songwriters Association of Canada and director of SOCAN, Damhnait Doyle has gone above and beyond for what is ‘expected’ of the artist and songwriter. “I found that when I turned 40 as a woman, and it was around when the Me Too movement happened, I just kind of activated,” she explains. With her finger on the pulse of change in the industry, and with boots on the ground as a songwriter fighting with something to say, Damhnait Doyle is living and breathing with a newfound truth, one that is primed to lay the groundwork for a career with no share of surprises in store.